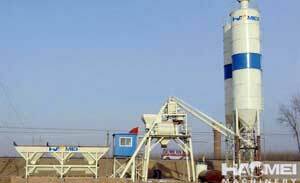 Small concrete batching plant are the perfect solution for the small concrete producer or construction site. Available in 3 sizes ranging from 25–50yd3/hr, these compact plants are designed for easy set-up, low operating cost and optimal concrete quality. 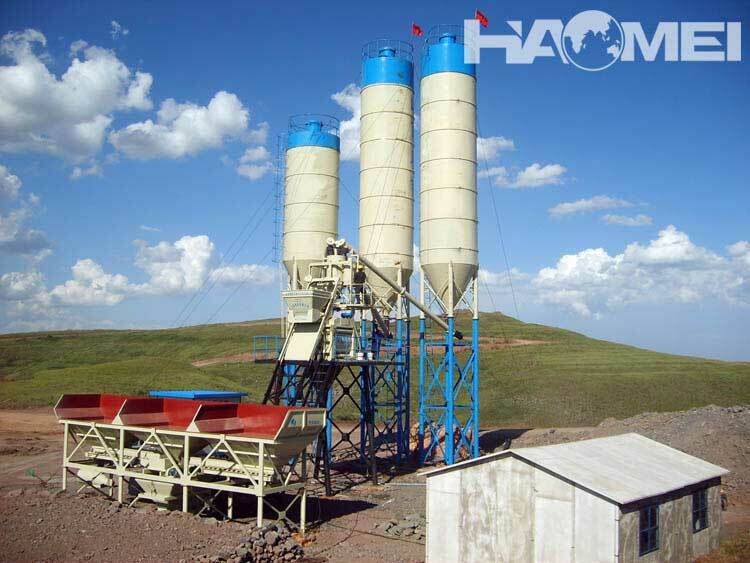 We've retained all the critical aspects of accuracy, reliability, and efficiency from our larger haomei plants and designed them into a smaller, more cost effective package we call the Small concrete batching plant. 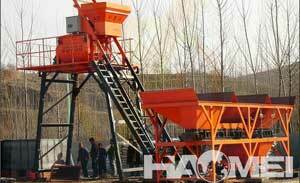 Haomei HZS series small concrete batching plants are widely used to produce various kinds of concrete including quaking concrete and hard concrete,suitable for large or medium scale building works, road and bridge works and precast concrete plants, etc. 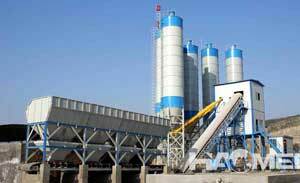 It is an ideal equipment to produce commercial concrete. 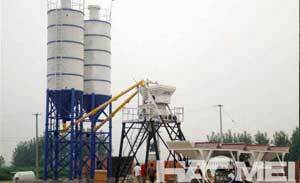 We offer concrete batching plants with various sizes,Such as HZS25-25m³/h HZS35-35m³/h HZS50-50m³/h Small concrete batching plant.Contact us for more information! 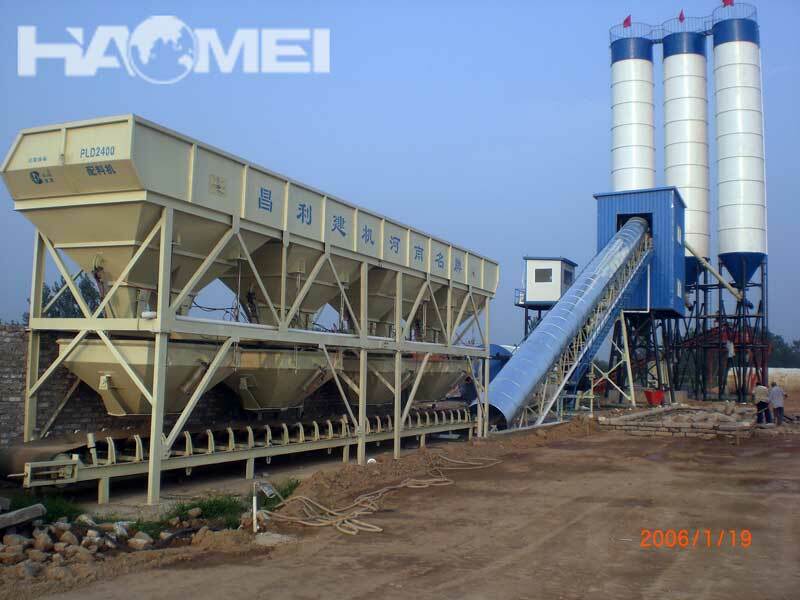 The Small concrete batching plant features the The mixer has a reliable hydraulic discharge gate and the option for an additional discharge gate to serve another production line. 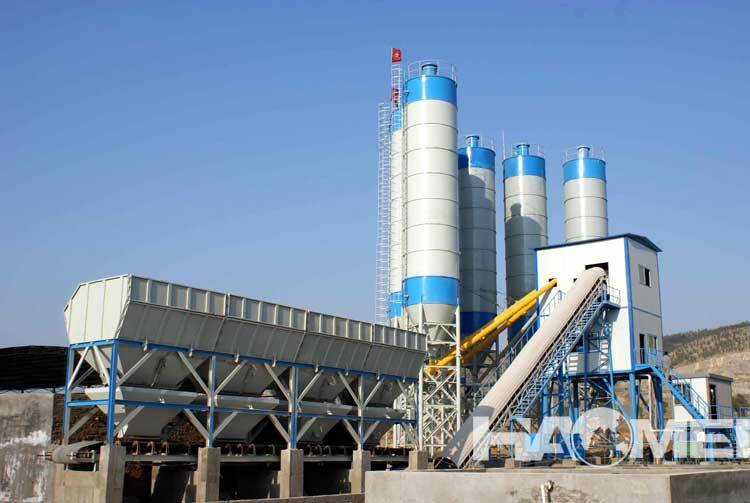 Batch water is added volumetrically through a precision flow meter and can accept the optional use of a HYDROMAT microwave moisture probe or the recycling of reclaimed wash water back into the batch The Small concrete batching plant also comes standard with ACT's Programmable Control System (PCS) which is factory pre-installed directly onto the mixer platform for maximum ease of set-up. The PC is industrial grade and has the capability to store up to 1,000 recipes, keep records of every batch ever made, and to integrate plant administration, production, material ordering, consumption monitoring, process supervision, costing and maintenance information in one efficient control system. Optionally, the control system can be selected for ground installation into customer's control room. Other simpler, basic control system choices are available at a lower cost. 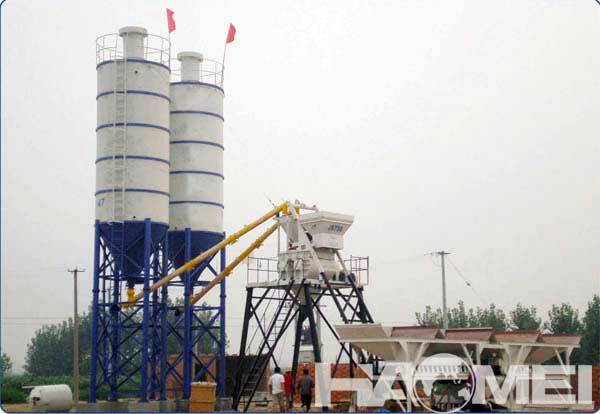 The Small concrete batching plant is well suited for a wide variety of production needs including precast, dry cast and architectural product production. 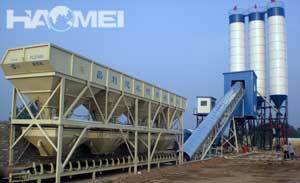 It is also ideal for onsite concrete mixing since it is portable. 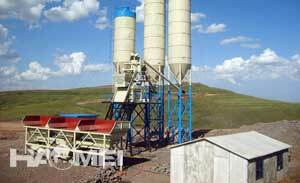 The entire unit can be transported on a single truck bed (not including cement silos). 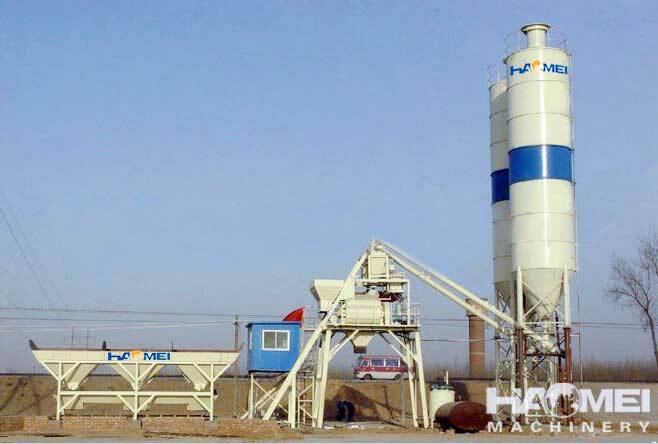 As a China-based professional hopper concrete mixing plant manufacturer and supplier, we at Haomei also provide screw conveyor, concrete mixer truck, concrete block making machine, concrete batching plant and cement silo, etc. All our products are manufactured strictly according to the ISO9001 quality management system, resulting in reliable quality, so you can feel secure in choosing our construction machinery. Due to their reliable performance, our products are highly sought after by customers from Morocco, Yemen, Botswana, Libya, Zambia, Nigeria, and other countries. 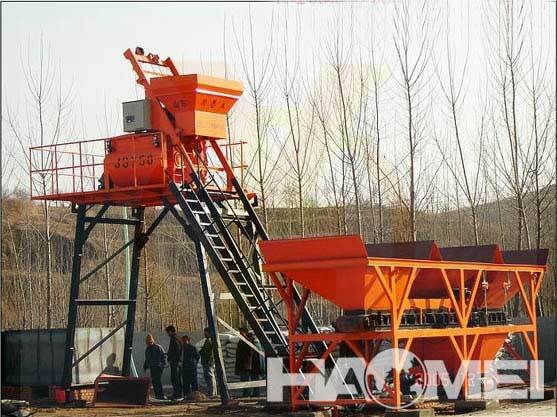 For more information about any of our products, please feel free to contact Haomei via email or at the contact addresses available on this website.